The Stampin'Up Forever Lovely product suite is pretty and easy to work with. I love it when everything coordinates. This beautiful card was designed by Alison Solven. 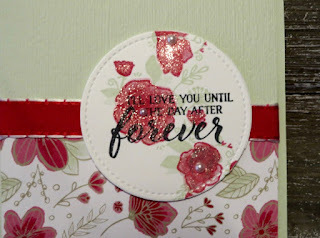 She used Soft Seafoam for the card base and embossed the other layer with the Subtle embossing folder. 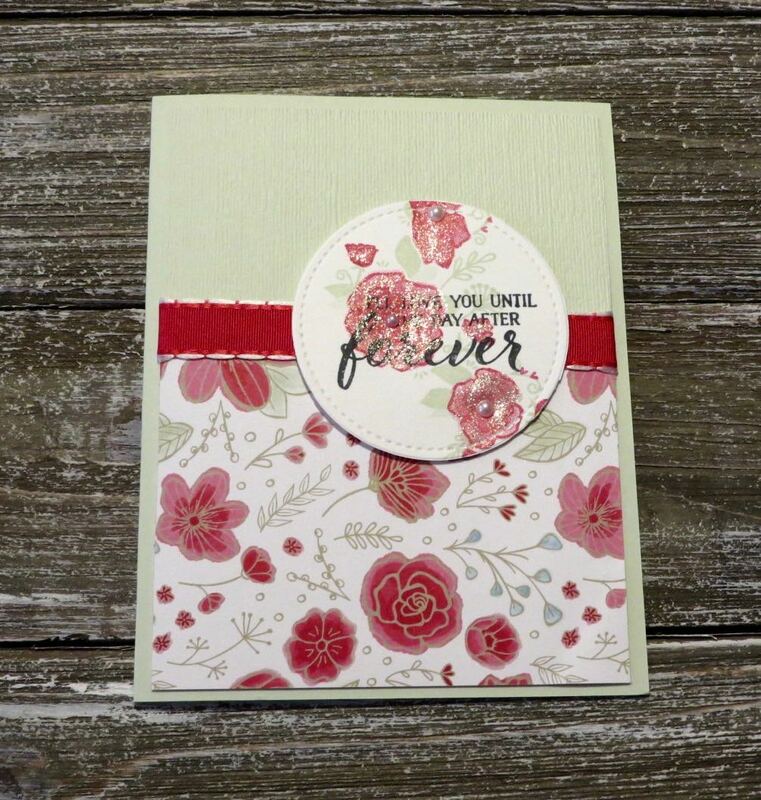 The All My Love Designer Series paper and All My Love Ribbon are both part of this product suite. Alison added some Wink of Stella glitter pen to the flowers on her card. Here's the supply list to make this pretty card. Click on a picture below to go to my stamp store. Remember to choose a Sale-a-bration item when you spend $60.00.